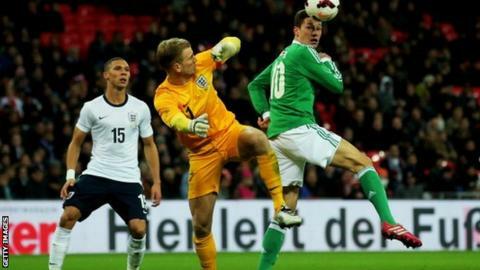 Roy Hodgson's England will face France and world champions Germany in the build-up to Euro 2016. The FA is also in talks about fixtures against the Netherlands and European title-holders Spain. With England six points clear at the top of Group E, the matches will give Hodgson's team some quality opposition before the Euros begin. "They will complement the important Euro qualifiers, which remain the top priority," said the England boss. Subject to qualification for Euro 2016, Hodgson's side face France - who host the Euros - at Wembley Stadium on 17 November next year and Germany in March 2016. The FA has already lined up away fixtures next year against Italy, at a venue yet to be decided on 31 March, and the Republic of Ireland in Dublin on 7 June. England beat Slovenia 3-1 at Wembley last week to maintain their 100% Euro 2106 qualifying record, with four wins from four.